Face it, a bathroom remodel is a major investment. It not only revitalizes your room, but also adds instant value to your home. With this in mind, it’s critical that you carefully navigate through every step of renovation in order to achieve the exact results you are looking for. There are several key components that every homeowner has to remember. Paying close attention to every component can mean the difference between absolute satisfaction or the overwhelming feeling of regret. We’ve assemble a few tips to help you along the way and make your next remodeling project go smoothly. When it comes to remodeling every smart homeowner is essentially concerned about both time and money. So what is the key factor in managing both? Planning. With the proper game plan you can get the bathroom you’ve always wanted while simultaneously staying within your budget and getting the job done efficiently. You need to spend more time on the front end doing research, carefully finding the right Massachusetts bathroom remodeling contractor, comparing products, developing a concept for your bathroom, and laying the ground work. Doing this will relieve all your stress. If you go into your project with no planning whatsoever, then you can expect to have no idea what the results are going to be, and they may not be what you had hoped. With today’s bathroom remodeling products, technology, resources, and a vast array of options, there’s no reason why you can’t get what you want. So don’t limit yourself. Believe it or not, you’re closer than you think to getting the kind of bathroom you want. The possibilities are endless. From flooring, to walls, vanities, cabinets, countertops, showers, and toilets, you can choose from a great selection of materials, colors, designs, and every style you can think of. If you’re going to invest in a whole room remodeling venture, then now is the time to let your imagination run wild! The more effort and creativity you put into your bathroom remodel, the more satisfied you’ll be with the results. If you’ve never done remodeling in your home, the going it alone could end in disaster. The greatest investment you’ll make is getting advice from an experienced, qualified professional. When you sit down with a bathroom renovation specialist in Massachusetts, you get the inside track to discovering the best way to completing your bathroom remodel. They can show you how to save time, save money, and avoid all the pitfalls that traditionally come with home improvement. They can help you pick out colors, styles, designs, and even give you valuable information as to which products are best. Take the time out to sit down with a home designer in order to drastically improve your bathroom remodeling experience. One of the greatest tendencies of homeowners is to think with their pocketbooks. Now before you get the idea that spending large amounts of money in order to get quality products is the answer, here’s simply what we’re stating. If you sacrifice quality for savings then you’ll end up getting products that you hate. With careful planning, patience, and research you can get top of the line products without spending a fortune. Something to think about is how well your bathroom products will hold up over time. In 5-7 years will they still retain their appearance and still properly function? Or will you have an ugly bathroom filled with costly repairs and maintenance or replacement? 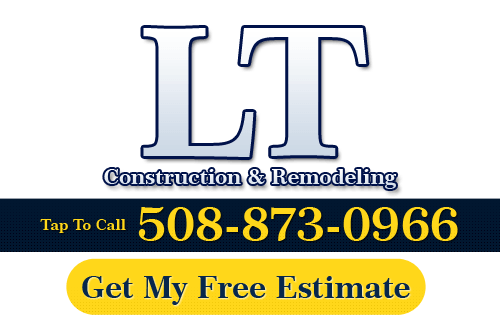 If you are looking for a professional Massachusetts remodeling contractor for your bathroom remodel, then please call us today at 508-873-0966 or complete our online request form.